IAESTE (International Association for the Exchange of Students for Technical Experiences) is a worldwide network of nearly 90 countries. We organise paid, course-related traineeships for students and recent graduates of technical subjects such as Engineering, Science, and IT. 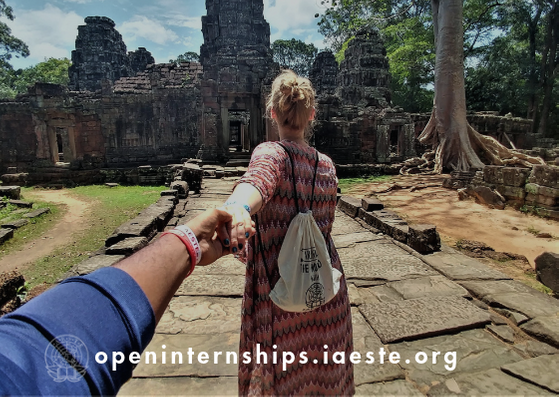 A huge variety of employers, from multinationals to universities to start-ups, offer traineeships through IAESTE. Etablished in 1947, IAESTE now has around 4,000 international participants every year. Our aim is to enhance participants’ professional, technical and intercultural skills — while providing employers with well-qualified and highly motivated trainees. IAESTE is based on mutual exchange, so every country both sends trainees abroad and hosts trainees with local employers. All IAESTE countries have a national office to coordinate the programme and to work with employers and trainees. Most countries also have a wide support network of local volunteers who help trainees settle in. In Ireland, IAESTE works with employers including Trinity College Dublin, SAP, Ericsson, and Threefold. We host trainees from all over the world every year, and as a result Irish students from almost every third-level institution in the country have taken up traineeships abroad. Find out how to offer a traineeship. Find out about the Dublin Local Committee. 7 reasons to get involved in #iaeste Ireland! Number 1: Explore new cultures! Number 2: Get real-life Work experience! Number 3&4: Career direction! Number 5: Broaden your horizons! Number 6: Open new doors! and Number 7: New Experiences! Share your IAESTE experience with us & win! Tag @iaesteireland on your instagram photos!